‘Daddy’ review - Is Hindi cinema coming of age? 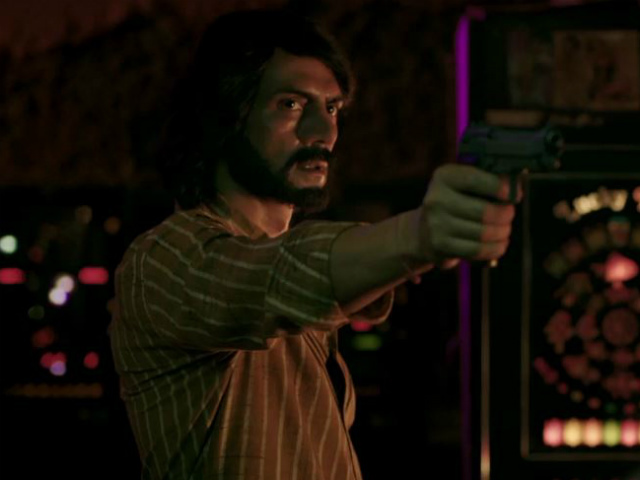 Arjun Rampal is the star of Daddy. Yet when the film starts, one is not force-fed this fact constantly as is the case with almost every ‘star-driven’ movie (Rampal has also produced the film). ‘Daddy’ and its director Ashim Ahluwalia show an uncanny and confident comfort in not letting Rampal take centre-stage right until the half-way mark. Rampal who plays politician and former gangster Arun Gawli, stays at the edge of the narrative and the cinematic frame, only gradually and organically making his way to the centre of attention. There might also be some biographical motivation to this treatment. Gawli, at least initially, is portrayed as a somewhat reluctant accomplice who later becomes an upstart and ultimately fully embraces the underworld; only to try and leave it all to don the white collar and Gandhi topi of politics. What also stays in the background, is the dated setting of the film, which transposes across three decades from the 1970s to the new millennium. The production design, lighting and colour palette compellingly recreate the era of Gawli’s rise and fall without claiming undue attention, and thereby keep the film focused on the main themes and narrative. There is a very self-referential artificially in the way the narrative of the film itself is constructed, or rather reconstructed — based after all on a real person and his world. ‘Daddy’ unfolds in a series of anecdotal flashbacks that take place through conversations that would have scarcely happened in the manner they do, outside the creative confines of cinema. The dialogue too, oft-times, brings attention to itself, cheekily nodding at the corny one-liners typical of Bollywood films, especially of the gangster genre. But there is also sincere nostalgia for the films, music and milieu of Bombay of the 1970’s. And one of the things ‘Daddy’ does best is capture that zeitgeist, through the costumes, the frequent quips and props and more importantly through the ecstatic sound design and Rampal’s enormously committed performance that form the film’s backbone. Arjun Rampal, in one of the most challenging and definitive roles of his career, almost disappears behind the hooked nose bulge and the enigma of Arun Gawli. He gets the diction, the hindi-marathi mish-mash tongue, the posture and the body language with all its little tics and mannerisms — right to the T. Opposite Rampal is actor-director Nishikant Kamath, in a hilarious yet menacing turn as Gawli’s life-long nemesis, in the cop, Vijaykar. Because of the facts of the story, the film necessarily traverses a lot of familiar tropes but does well to subvert them. Kamath’s character too gets a very atypical portrayal. He does not exude power or fear through physicality but by virtue of the systemic power that he wields; the film goes beyond the dichotomies of justice and vengeance, good and evil. Farhan Akthar, also quite unrecognisable, in the garb of Maqsood, the stand-in for Dawood Ibrahim, does well but simply does not match up to Rampal’s Gawli or to the legend of the don he essays. The sound design is exquisite, traversing between calm and anxiety. It constantly deepens the mood by drawing on the sounds of the city, of barking dogs, ticking clocks, but seamless jumps from the diagetic to the dramatic, retro-style techno action beats or melancholic violin melodies of Sajid-Wajid’s music. There are some very iconic shots, of Gawli climbing on to a rooftop, running away after just having committed, ostensibly, his first murder. The moment of his first mugshot, Gawli’s image grows in volume just as that of those brought in to identify him (and don’t) shrinks. The film is peppered with stylised forms and compositions as well as with laugh-out-loud humour. There is a painterliness to how Ahluwalia arranges his bloodied images of death that often snap on after scenes of tenderness and joy. The film also manages to accommodate its considerable source material in a breezy, comfortable but unhurried duration. What makes ‘Daddy’ so cherishable and delightfully modern is the bravura with which it stitches together the contradictions of fiction and reality, of documentary and popular cinema, of homage and parody and of the past with the present. Towards the end it does become more empathic than neutral towards Gawli but otherwise does a laudable job of not taking sides. 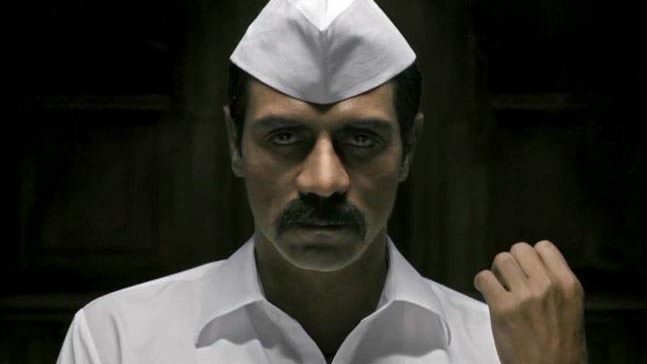 The film ends with some real-life footage of Arun Gawli in a court-room, and despite everything the contrast with how one views Arjun Rampal on screen is telling. Another reminder that we are still just watching a film, a stylised reality, which mirrors but is still very distinct from the realm of real-life. The story of Gawli and of ‘Daddy’ is essentially of someone trying to defy the status quo and fight endlessly for a fair deal in a world that is set unfairly against them, and in some ways Ashim Ahluwalia’s cinema is trying to do the same.